Jihad Watch : Ramadan jihad in Mississauga, a city with a large Muslim population? Possibly, and possibly not. 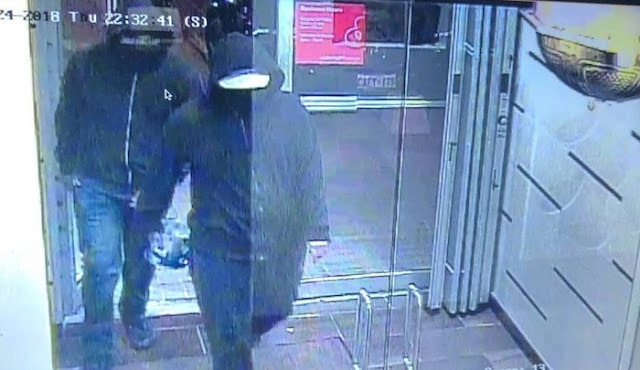 Police have released a photo of two suspects who detonated an explosive device in a restaurant in Mississauga, a city in the Canadian province of Ontario. At least 15 people have been injured. Police say they received a call for “an incident” at 10:32 pm and have cordoned off the area. Local media report that there has been an explosion at an Indian restaurant in the central area of the city. Some locals are posting on social media that incendiary devices were found at the scene. When asked about those reports, the police media officer neither confirmed nor denied it.